When most people think about the typical divorce, they imagine a highly contentious situation with constant fighting, high levels of stress, and a lengthy court battle. However, some divorces can be done with little no argument between spouses with what is known as a simplified divorce. 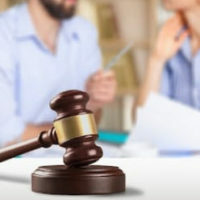 Although this is sometimes referred to as a “do-it-yourself divorce,” hiring an attorney to handle your simplified divorce can be very beneficial to the process. The law office of Steve W. Marsee has helped a number of clients throughout Orlando with their divorce cases, including those of simplified divorce. If you and your spouse meet the terms of a simplified divorce, you can bypass many of the issues couples in a traditional divorce must deal with before the divorce is finalized. Do I Need a Lawyer for a Simplified Divorce? While many people may say that you do not need a lawyer for a simplified divorce, an attorney can be critical to the success of this process. Part of the agreement in a simplified divorce is agreeing to the division of marital assets and debts before signing the paperwork. An attorney can ensure that you are receiving your fair share of the marital property in a simplified divorce. This includes retirement accounts and pension funds that many spouses do not consider when agreeing to the division of property terms. In addition, a lawyer can handle the paperwork of a simplified divorce to expedite the process with the court. Finally, if you and your spouse cannot agree to all the terms of the divorce, and the simplified process falls apart, having an attorney by your side from the beginning will make the transition to a traditional divorce easier, faster, and less expensive for you. Talk to an experienced divorce attorney to learn more about how a lawyer can help you in your simplified divorce. If you think that a simplified divorce is right for you, call or contact the law office of Steve W. Marsee in Orlando today to schedule a free consultation of your case.